One of the best pieces of news I picked up at Expo in Aberdeen was that the wonderful Borthwick Castle was approaching completion of its refurbishment and will be open again in the summer. Of all of the refurbs going on in Scotland just now I cannot wait to see how this is going to come out. I have personal and very fond memories of this place as a student at Queen Margaret College when I was employed there over the summer on my first year placement. I recall the total fear when I approached the castle (my little red Peugeot 104 having suffered a puncture en route as I recall) to be interviewed by the "chatelaine" Helen Bailey. From the outside the structure was just awesome. 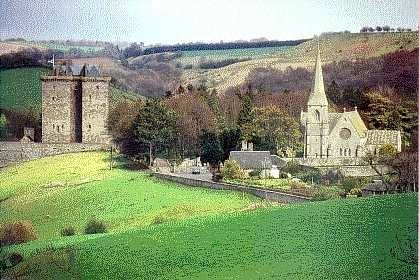 A twin keep castle rising to 110 feet with long drive, old church and graveyard to the right and the wall and gatehouse entrance. This was amazing I thought and considerably more impressive than the Stakis Station hotel in Ayr where I'd spent a week chopping turnip for three hundred every night! Up the stairs to the massive and very solid wooden door. 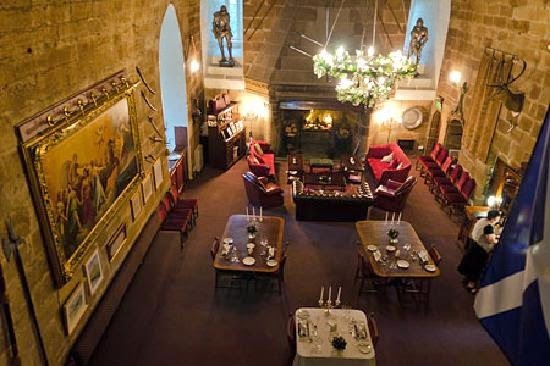 You could not help but be impressed as you entered into the small entrance hallway that lead up to the rooms and halls, down to the dungeons and directly into the Great Hall. It was one of those things that I learnt to build up to as I welcomed the almost exclusively American guests that summer; I learnt to build the expectation of opening that door. Hold them for a second while welcoming, let them take their breathe from the wonder of the outside, and then, and only then, blow them away by inviting them into the main hall. The Great Hall was simply breath taking and remember no Internet or TripAdvisor reviews. These guys had NO idea what they were about to discover. Huge vaulted stone ceiling - and I mean enormous, apparently the highest in Scotland - leaded windows, enormous fireplace (burning with logs cut by yours truly after breakfast that morning), huge dining tables set with silver goblets, crystal and cutlery (polished by yours truly that morning after breakfast and log cutting) and invariably Vivaldi's Four Seasons playing in the background from a Stereogram set in a traditional piece of furniture. Then the tour of the rooms. Sorry bed chambers. Red Room, Scott, Borthwick, Bothwell and of course Mary Queen of Scots. That was the romantic one and I do recall catching a little kiss in that room from someone rather special some time later! So there was me at 19 witnessing all this for the first time and being interviewed underneath a six foot portrait of herself in the minstrels' gallery by the aforementioned Ms Bailey. Intimidated? Not a bit! So I got the job. I experienced how to deliver personal customer care like never before, learnt how to recite horror stories and make up history (which really stood me in great stead for my subsequent student political life) and simply fell in love with a building like I had never done before nor ever will again. For a summer it was my castle. I look forward to revisiting and oh god, it would be so good to do some work for them again. Who knows. 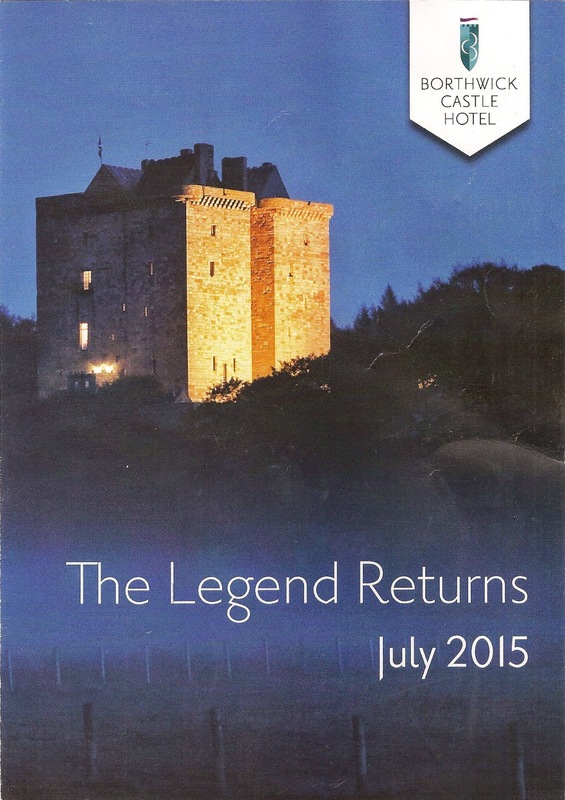 Good luck Borthwick Castle, it's so good to know you're back. 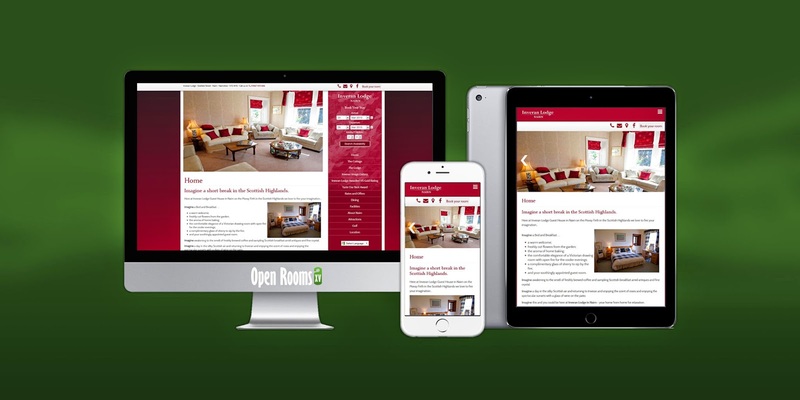 Following on from Expo, the team at Open Rooms can confirm that they have secured the work to build a new content managed and responsive website for Scotland's Best B&Bs. Scotland's Best B&Bs is a membership organisation made up of small independent bed and breakfasts with a minimum four star rating. The website has been live for a number of years with strong traffic through it and Open Rooms has been employed to build this further and increase the DIRECT sales back to the owners' own business. The site has benefited from the FreeToBook booking engine and availability search and Open rooms will be working with the FreeToBook team to ensure that increased business levels can be achieved. The new website will be developed using Claymore, the in house built Content and Destination management System, which will allow the site members to easily update everything from content to images, offers and news directly into the site from their own easy to use management area. 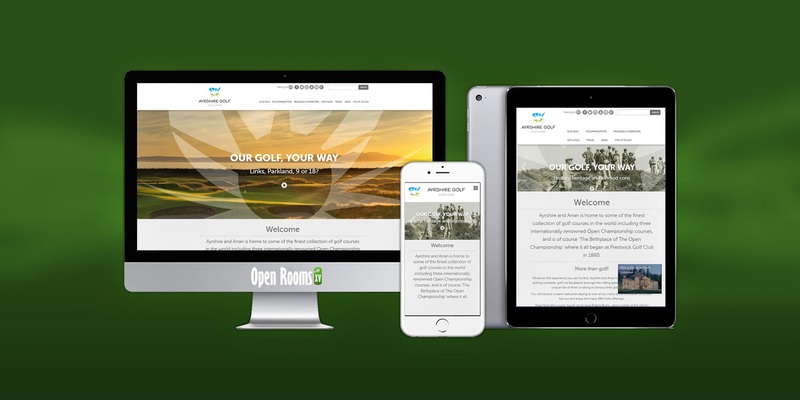 The news of the development comes hard on the heels of the announcement that the Scottish Incoming Golf Tour Operators Association have also chosen the destination management software and design skills of Open Rooms to build their new members site. Ian McCaig from Open Rooms was delighted. We've spent a lot of money over the past six months developing new functions for Claymore to ensure it was keeping up with the demands of the sector and we have seen some great results during that time from large destination sites such as Ayrshire Golf Scotland and luxury travel company Executive Golf and Leisure in Stirling. Securing both of these sites in the same week is affirmation of what we're doing and look forward to working on two great and challenging projects. Open Rooms is the recently re-branded name for the online marketing and web development arm of Claymore projects Scotland offering cost effective and creative solutions to the tourism sector from B&Bs to destination sites. We are heading up to Aberdeen for a couple of days to promote our new Open Rooms On-line marketing packages so if you're heading to the Exhibition Centre please come and visit us on Stand H10. 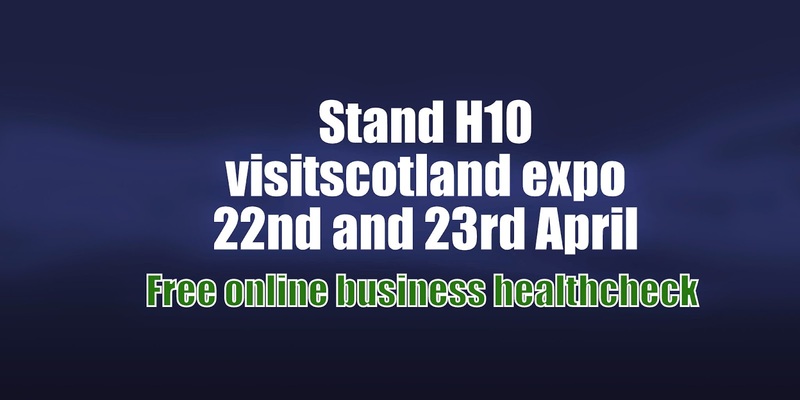 We have got some great on-stand offers for new websites and offering all visitors to Expo a six months listing on our Scotland's For Me portal site. So whatever you are looking for from your on-line marketing campaign in the next twelve months we think we can help. Good online and digital marketing businesses have been emphasising for several years the need for hospitality business to be mobile ready. Increases in mobile technology, new devices and improvements in booking software have all pointed towards the need for hotels, attractions and hospitality service businesses to be mobile ready. However it has taken a warning from Google to focus attention. 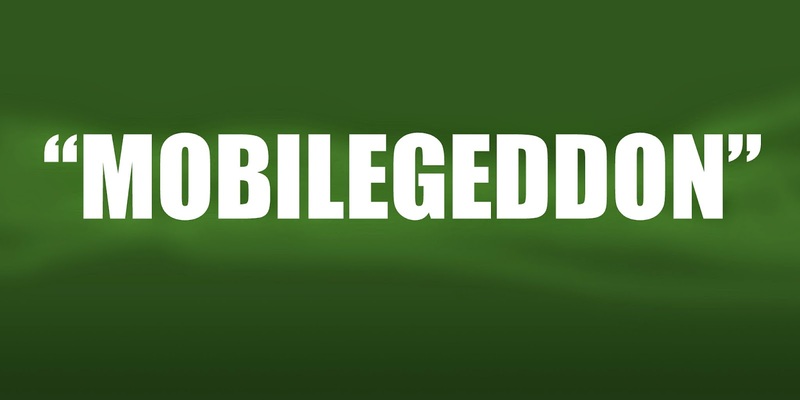 Website and news site around the world have been labelling the changes as "Mobilegeddon" and for many hospitality businesses this description is not far wrong. A random testing of thirty sites this morning found less than 20% ready for the changes and with so many searches on mobile devices for travel it could have major impacts on site traffic. We have been building responsive websites as the norm for over a year now for tourism businesses and destination groups of all sizes. Most recent to go live over the weekend was an upgrade to a long term client Rosemary Young at Inveran Lodge in Nairn. From the graphics above you can see just how well the content works on different devices but why is it now so important? Recent announcements by Google seem to have terrified the hospitality sector into acting on their mobile strategies. Changes to be implemented in April 2015 indicate that Google searches done on mobile devices will be affected by whether a site is mobile friendly or not. It appears but is not certain that it is only searches actually undertaken on a mobile advice that will be affected but with estimates indicating search traffic on mobiles being up to 60% in some tourism sectors, non-compliance could have a devastating effect. Your site must be responsive! Google are looking for your website to respond to the device it is being viewed on. The way we use the internet on a mobile device is entirely different from a laptop or desktop and intuitive drop down menus and easy to click buttons are essential. All websites built in the past year using our own Claymore Content Management System are already fully responsive and pass this test. Some older sites that have dedicated mobile version sites still pass. However, now is the time to look at ensuring that your website is fully responsive and will work across all platforms and not just for the search engines. The customer is now used to sites that work on mobile and will simply leave one that isn’t – you must continually reduce friction for your site visitor. The easiest and most cost effective way to do this is to upgrade to one of our Open Rooms XV websites all of which have a responsive solution built in. Send us an email message or call 01294 233713 for more information and a surprisingly affordable mobile ready solution!